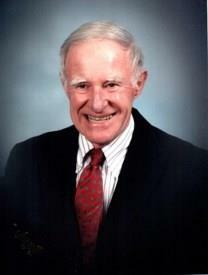 Dr. Robert Marvin Hegstrom, an accomplished physician, beloved husband, and attentive father, died February 25. He was 86 years old. Born in Seattle in 1930, Robert and his younger sister were raised by their tenacious but poor working mother in the depths of the Depression after his father died in 1932. He attended central Seattle schools, including Minor, Meany and both Broadway and Garfield high schools, before attending the University of Washington, where he did his undergraduate work and obtained a medical degree. After doing his internship at Bellevue Hospital in New York, and serving as a physician in the Navy, he returned to the University of Washington as a medical resident and then research fellow. He served under Dr. Belding Scribner on the team that pioneered dialysis treatment for end-stage kidney disease that has saved countless lives. True to his passion, Robert's role on the team was as a clinician, focusing on patient care, and he continued to care for the first dialysis patient for years. He left the UW to enter private practice at the Virginia Mason Clinic, where he and Dr. Richard Paton established the nephrology section. Besides his tireless devotion to patients in nearly 30 years practicing medicine at Virginia Mason, Robert served for a time as director of medical education at Virginia Mason, and on the board of directors of the Northwest Kidney Centers. He retired from medicine in 1992. Despite his success, Robert never forgot where he came from, and he and his wife supported liberal causes designed to open opportunities like those offered to him. They also supported Seattle arts. He was a lifelong outdoorsman, a mountaineer as a young man, a family backpacker in his middle years, and an inveterate walker right up until he no longer could. He was a voracious reader of history. He volunteered for several causes, including the Nordic Heritage Museum and Queen Anne Helpline. In his old age, he liked to say that he had lived his whole life in Seattle, and was half as old as the city. He marveled at the dramatic recent transformation of the city he had known eight decades, though he was not immune to its disruptions, including the recent sale and closure of the First Hill retirement home where he and his wife had planned to live out their lives. An unshakable optimist, Robert had a keen sense of humor, and remained unfailingly cheerful even when suffering physical debilitations that would have left a lesser man cranky. He would call long-distance relatives and tell of the glimpses of sunshine he had seen on those Seattle days the weatherman described as mostly cloudy. He is survived by his wife of 37 years, Donna; his baby sister, Carolyn Hibbard; his children from a previous marriage, Carol, John, and Edward; two daughters-in-law; five grandchildren; two great-grandchildren; two brothers-in-law; two sisters-in-law; and numerous nieces and nephews along with their children and children's children. He is preceded in death by his stepson, Dennis Schellhase. In lieu of flowers, the family asks that donations be given to the Northwest Kidney Centers, Planned Parenthood, or the charity of the giver's choice. Arrangements under the direction of Bleitz Funeral Home, Seattle, WA. "Dear Donna When I first came to Seattle more than 50 years ago Bob was one of the first local nephrologists that I met and we became good friends. He was..."
Read obituary at Seattle Times, The.